All PROMONTORY- LOOKOUT homes currently listed for sale in Park City as of 04/18/2019 are shown below. You can change the search criteria at any time by pressing the 'Change Search' button below. 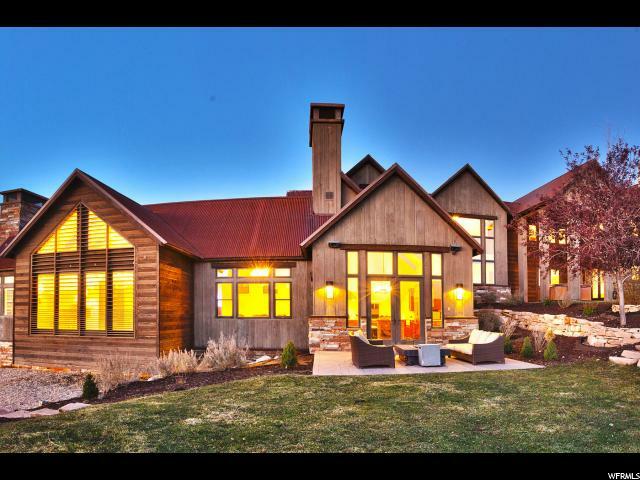 "Featured in Utah Style Magazine, this mountain modern home has it all. Designed by award-winning architect Clive Bridgwater, there an amazing 14 gables that span across the roof line. This house is located on a corner lot with sweeping views of meadows, mountains and ski resorts. The unique design offers 4 ensuite bedrooms with quality craftsmanship, large areas for entertaining. Other features are 3 car garage, heated floors, multiple fireplaces, powered with control 4, security system, high-end kitchen, indoor/outdoor living. Promontory is a four-season resort neighborhood with amenities such as golfing, pool, spa, gym, kids cabin, tennis, golf clubhouse; the newest family gathering The Shed."